Endless Possibilities! Fantastic 5 acre property with tons of privacy yet only minutes from the beach and downtown Arroyo Grande. The modular home is on a permanent foundation and has an open floor plan. This home features a covered front porch, fireplace, large kitchen with tons of storage, high ceilings, skylight, wrap around deck off of the bonus room, double sinks and jetted tub in master bath. There is tons of room to store your RV or other toys in the impressive 40x60 shop, complete with large roll up doors, bathroom and full RV hookups behind the building. The flat usable land lends itself to a variety of uses. 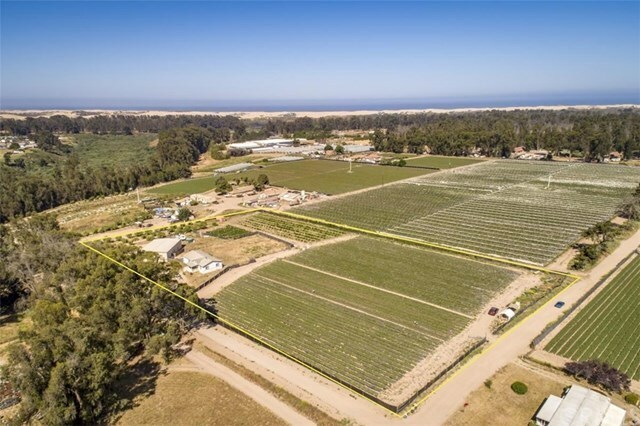 3 acres are currently being leased for crops and included is a wonderful lemon orchard. This is truly a farmer's paradise! Directions: Take Halcyon Rd South. At the top of the Mesa turn right on Cabrillo Hwy. Take a left on Fowler Ln, property is towards the end of the road on the right.